Our services - Design, installation and maintenance - Gerstat Inc.
Gerstat Inc. offers a large range of services for your premises comfort, from design to maintenance through installation and repair of your different heating, ventilation and air-conditioning systems. A devoted team gives you advice and brings its expertise for each stage of your project in order to determine the best solution that will fit your needs, always at the best price. Our wide range of services is here to meet every need you may have. 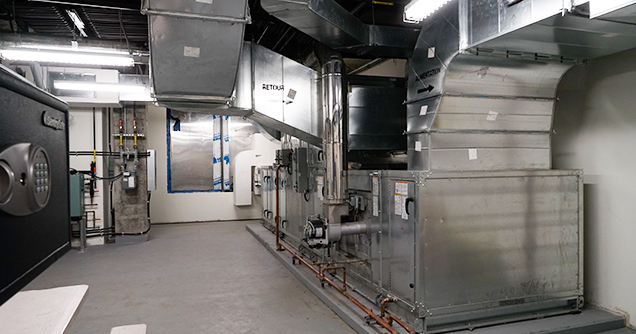 Air conditioning, heating, ventilation, water treatment, air duct cleaning, systems rehabilitation... whether you are a company of the industrial or commercial sector, an institution or a building manager, Gerstat Inc. offers the right solution thanks to the expertise of qualified professionals. Gerstat Inc. analyzes your situation and the existing constraints in order to offer a turnkey solution and individual support. We offer a high-quality service for the design of your system, the selection of the right equipment, the installation and implementation of equipments. Trust our experience to ensure year-round comfort! Gerstat Inc. has a fleet of 15 trucks to satisfy all your requests and to provide an exceptional service in short delays. We ensure customer service, repair and maintenance of all your installations. 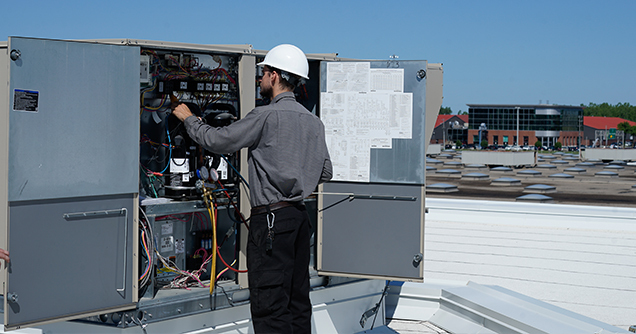 With our preventive maintenance programme, you will enjoy peace of mind : our certified technicians ensure the proper functioning and durability of your installations. 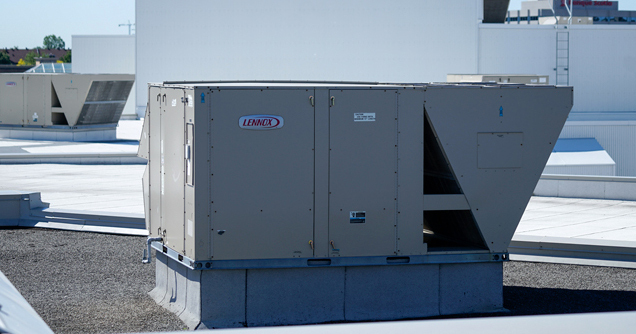 In case of emergency, we work on your installations 24/7, call us!